Lake Mead Marina boat rentals and jet ski rental was recently relocated three miles south on Hwy 166 to Hemenway Launch ramp, next to Las Vegas Boat Harbor. Lake Mead Marina is sitting in the area formerly known as Horsepower Cove, formerly a water ski beach. Lake Mead Marina ski boat and guided boat charters had to move from it's original location due to the low water conditions. Lake Mead new location is close to Boulder City, convenient for those that stay in hotels nearby. Combining these two Lake Mead marinas ushers in best of wakeboard boat rentals, jet skis, waverunner rentals, PWC personal watercraft rental, wakeboard lessons, water sport charters, sea doo rental, water skiing, wakesurfing lessons, and more. 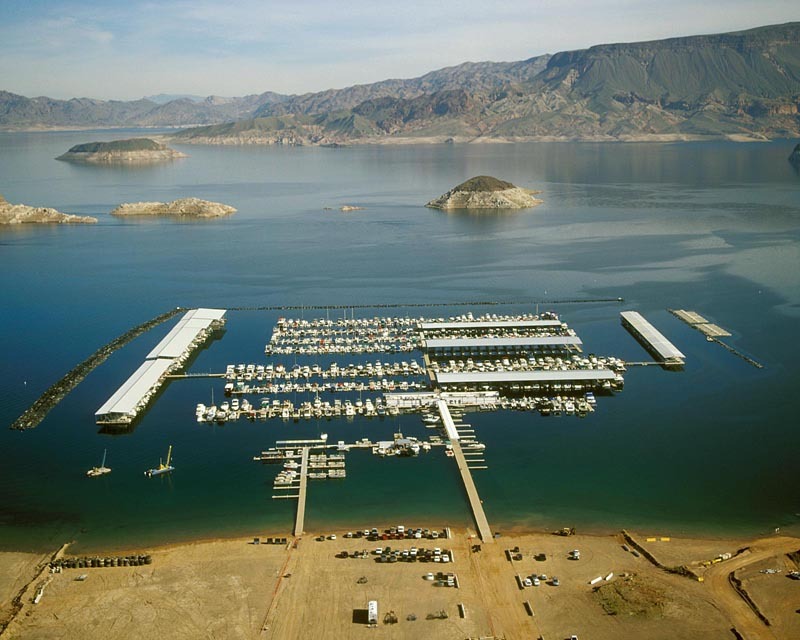 Lake Mead Marina offers overnight mooring of your ski boat or watercraft, no reservations needed. There's always room for your competition wakeboard boat, just tie it up almost anywhere along walkways or docks. Make sure you have adequate bumpers to protect your PWC or boat. Enjoy everything Nevada has to offer with amusements, tours, Hoover Dam, and boating at Lake Mead National Recreation Area.